It seems that people either love birthdays or hate them. I have three amazing friends who are like sisters to me. We have known each other since elementary school, and I honestly cannot imagine my life without them. At the end of February, they catch up with me in age. I move ahead of them in April. So, during March, we like to take our “friends pic” because it is the one month when we are all the same age. 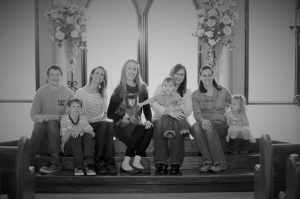 Six years ago, when we were 35, we got our pictures taken at my mother-in-law’s chapel. It was fitting because Dane built it, we had our ten-year vow renewal there, one of my friends got married there, plus we had celebrated other milestones at Vesica Piscis. I love photos, so I was super excited about taking these… Well, except for one thing. All my friends have littles and, of course, we wanted to get a big group picture with the kids. But I was not excited about being the only one there without kids. So, I decided that our fur baby, Valentine, would join in the photos. He was (and is), after all, my four-legged kiddo. And this year… My 41st birthday, which fell on Friday the 13th… Well, it perfectly summed up my life. My nephew and exchange daughter texted me, my nieces FaceTimed and sang “Happy Birthday,” my Brazilian & Oklahoma family sent me tons of Facebook messages, and my new childless community gave me lots of birthday wishes, as well. That evening, I sat in our snug, surrounded by photos of all our friends & family, with Maddie on my lap, opening beautiful birthday cards while my hubby took pictures. (Because I do love pictures!) 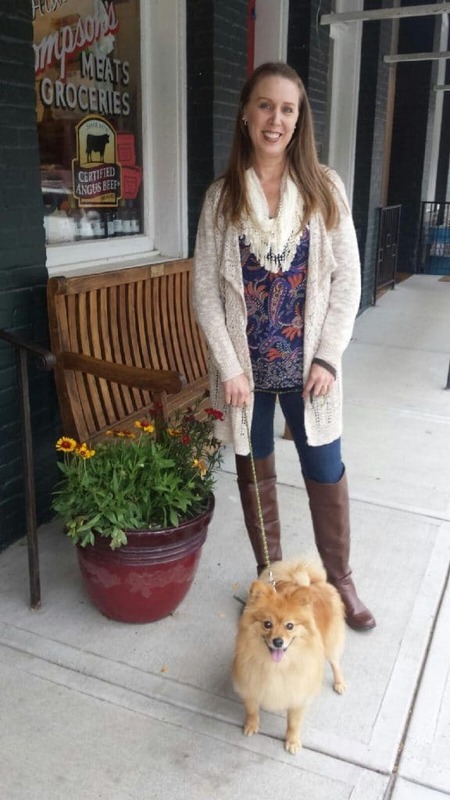 And this one is my favorite because it perfectly captures what being 41 and childless looks like… Well, at least for me. I recently heard on the radio that the younger generation is the most connected because of technology and yet is the loneliest generation ever. The speaker said they suffer from FOMO, or the Fear Of Missing Out. 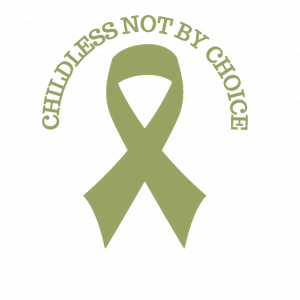 Unfortunately, I believe this description accurately describes many in the childless not by choice community. Although we are often very connected to others through social media, we still feel quite alone. And FOMO… Well, the fear of missing out can be crippling. At 31, I feared that I would miss out on beautiful moments, that my life would be empty and sad. 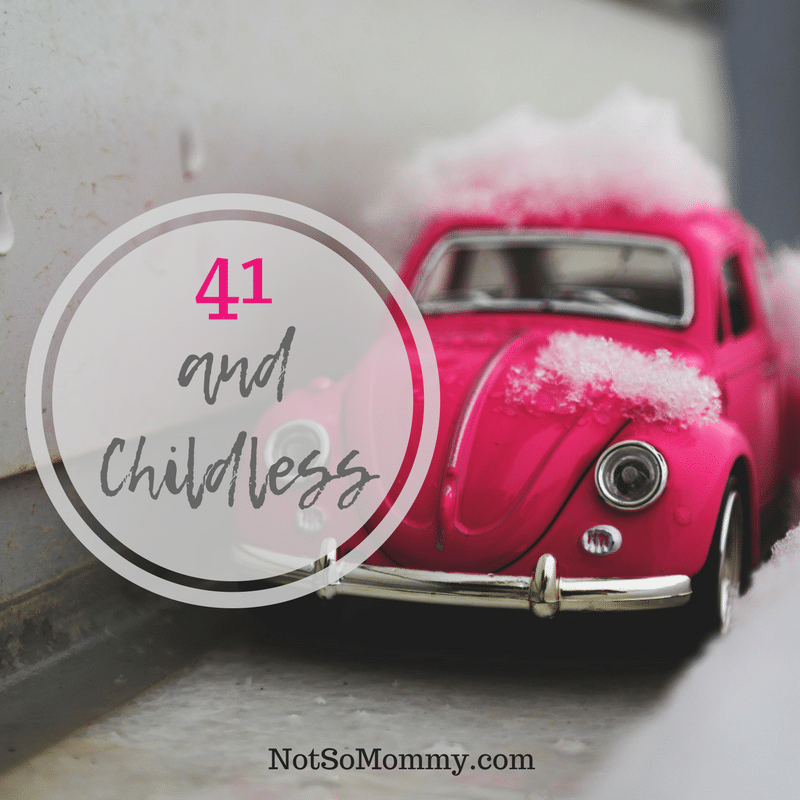 I feared that 41 and childless meant my hubby and I would be alone, living in a silent house with no laughter, no pitter-patter, no joy. At 35 and childless, I could have decided that I didn’t want to take photos with my friends because I didn’t have a little. I could have said, “No,” for fear that it would be too painful. Or I could have gone without Valentine and felt awkward, alone, left out. And how awful that would have been because I would have missed the sweet, sweet moment when Baby Jake reached out his hand to pet my sweet, sweet Valentine. At 38 and childless, when Dane & I learned about the opportunity to host a foreign exchange student, I could have said, “No.” This kid wouldn’t be our “real kid.” It was only for six months. Why bother? I could have convinced myself that I didn’t want a teenager, that hosting wasn’t the path I wanted! 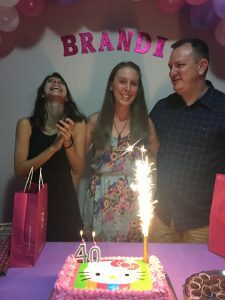 But what a travesty that would have been because I would have missed out on the pure contentment I felt on my 40th birthday, standing next to Dane & Bruna as my Brazilian family sang to me while the candle on my cake lit up like a firecracker! So, I was sad. Deeply, deeply sad. I cried, and I allowed myself to feel the pain of her leaving. But I didn’t stay there. I accepted that we had a new normal. We would text, skype, and visit each other every six months to a year. I accepted that my every day life would be with Maddie and Dane and that I had an entire extended family in Brazil and back in Oklahoma. I didn’t stay sad. 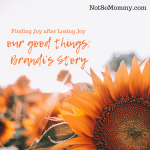 I accepted the what is and moved forward in joy. I pray that you do not suffer from FOMO. Because the fear of missing out may very well cause you to do just that–miss out. While wishing for the life you had hoped for, you risk missing out on beautiful moments happening in the life that is. And what a tragedy that would be. So, please, really look at the moments of your life, find the joy, see the bright side, accept the now. It’s okay to be sad. Just don’t stay there. As for the student exchange program, we met the local coordinator of our area at a cooking class (I wrote a blog about that – here’s the link if you want to read it – http://notsomommy.com/the-cooking-class-that-changed-my-life/ ), filled out the paperwork, and two months later, Bruna was in our home! Take a look at my host mom page – http://notsomommy.com/host-mom/ – for some links about various programs. It is an incredible experience! I encourage you to give it a try! Ditto 😘 My husband has also given me that excellent piece of advice. We are living our best life and we learnt long ago to make the best of the cards that God dealt us. 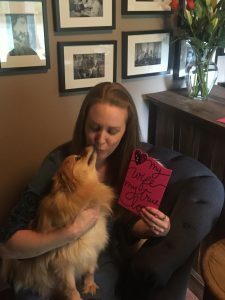 LOVE this story – and I am so glad you didn’t say no to all those memories!! A belated happy birthday! Yes, the key is to be sad, but not to stay there. My 41st birthday was the worst of my life. (It was the DAY that I learned I would be childless forever.) But since then, I’ve had some amazing birthdays, and barely flicker at the memories of that day. 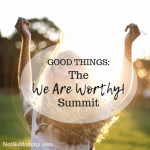 Hmmm – I could say more, but I think you might have prompted a post on this from me as well! God definitely touched you with blessing after blessing, even if it was a bit different than you had planned. His plan is perfect.💙💚💛💜❤I am so grateful to be a part of it.